Joint HealthSwanson New Zealand Green Lipped Mussel 500mg - 60 kaps. For centuries, green mussels was a regular part of the diet of native Maori people of New Zealand. 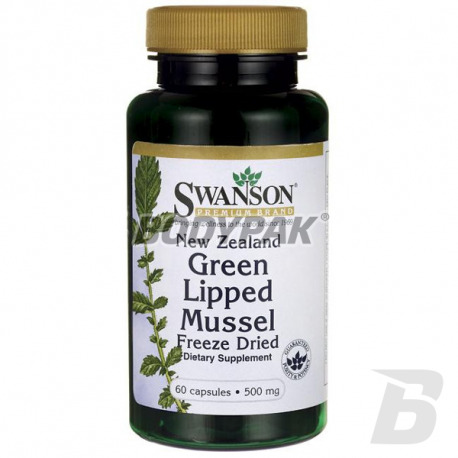 New Zealand green-lipped mussel contained in the dietary supplement Swanson New Zeland Lipped Mussel is known to science as Pema canaliculus. The green mussel is ecologically grown and harvested off the coast of New Zealand. Very quickly it gained popularity around the world. In contrast, fish oil, green mussel New Zeland Lipped Mussel entirely composed of protein, carbohydrates, natural chondroitin sulfate, minerals and fat. To ensure freshness of 100%, the product is freeze-dried in place. This combination of Omega-3 is found only in this species of mussels. There he meets her in any kind of fish. 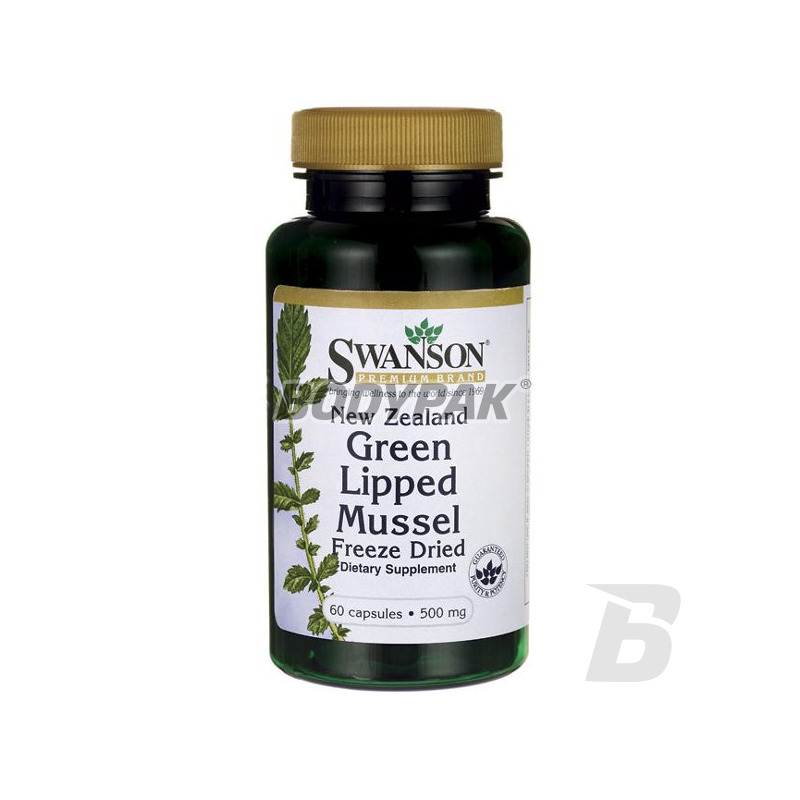 Natural product with anti-inflammatory properties Swanson New Zeland Green Lipped Mussel (New Zealand green-lipped mussel liofiliozowana), thanks to the content of the lipid extract from the green mussel (Perna canaliculus) is an excellent nutrient for joints for athletes and active people. The composition of the rare Omega-3, found in green mussels positive influence and has more potential than the anti-inflammatory omega-3 derived from fish oil extracts. Regular supplementation New Zeland Green Lipped Mussel is particularly effective in people who have symptoms of arthritis and spondylitis, and rheumatic diseases, osteoporosis, asthma, pain menstrual multiple sclerosis, as well as allergies and skin diseases (from eczema, psoriasis).